Arlington, VA – Doug Bittner owns Dryer Vent Wizard specializing in dryer vent cleaning, repair and installation while educating consumers on proper maintenance to prevent dryer fires and save energy. Bittner enjoys friendly conversation with the customer as he shares energy saving tips while performing an important home service. Bittner advises his customers that cleaning dryer vents is not only the best way to prevent dryer fires; it is also the number one green idea for the laundry room. Clothes dryers are among the biggest energy users in the home and poorly vented dryers cost an additional $300 per year to operate. Eventually, the dryer will become overworked and overheated, then either break down or cause a fire. Doug Bittner shares more green laundry room ideas about newer washers and dryers with energy saving benefits including front loading washers that use less water and dryers with moisture sensors to stop the dryer when clothes are dry. Of course he isn’t recommending everyone run out and buy the latest and greatest appliances. There are ways to save energy with older appliances. 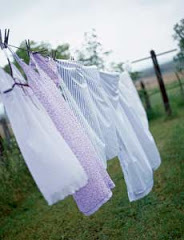 According to the Wizard (http://arlingtondryerventcleaning.blogspot.com/) adapting to some simple laundry room habits can go a long way in energy savings. He suggests doing only full loads of laundry, but being careful not to over load the washer and dryer. Also using cold water for most laundry is just as effective as hot water in getting clothes clean and it prevents bright colors from fading. Doing back-to-back loads allows for use of the residual warm air in the dryer. Clothes dryers are a wonderful invention, but they do require maintenance to assure safety in homes. 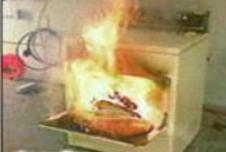 The National Fire Prevention Administration reports over 17,000 dryer fires each year, causing millions property damage, many injuries and loss of lives. Dryer Vent Wizard is the largest chain of dryer vent cleaning, repair and replacement specialists in the US with over 60 locations in major market areas. Visit http://arlington.dryerventcleaningnow.com/ to learn more.